Find out what are the best yoyos for 2017. Recommended Beginner Yoyo: Fizz Yoyo, Hubstack Yoyo. Recommended Starter Yoyos: Sage Yoyo, Sage Yoyo Starter Pack, Sage Yoyo Pro Pack, DV888 Yoyo, DV888 Yoyo Kit, Velocity Yoyo, Velocity Yoyo Starter Pack. Recommended Budget Metal Yoyos: Canon Yoyo, Hidra Yoyo. Recommended High-End Metal Yoyos: Civility Yoyo, Atlas Yoyo, Nine Dragons Yoyo. 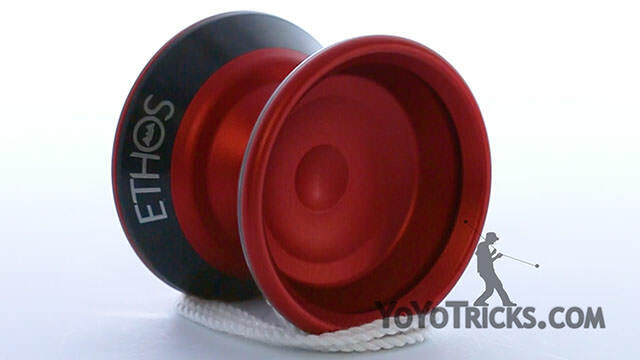 Recommended Bi-Metal Yoyo: Ethos Yoyo, Edge Yoyo. Yoyo Maintenance: Thin Yoyo Lube, Thick Yoyo Lube, Yoyo Strings, Yoyo Response Pads. This is the fourth annual yoyo buyer’s guide for yoyotricks.com. We have a separate buyer’s guide for 2a through 5a style yoyoing which are the more unconventional styles of yoyo play. This buyer’s guide is going to cover more traditional or 1A style yoyos designed for players who use one yoyo attached to one hand. When there is a new buyer’s guide to replace this one we will have a link right here on YouTube and we will also put a link below the video on our website in the video transcript and below the video in our app for Apple or Android devices. Ay time we mention a product we will have links below the video in the description or the video transcript as well. Now in order to more thoroughly answer this question, “What is the best yoyo?” We’ve broken up this guide into two parts. In the first part I’ll walk you through a few of the things that you should know before buying a yoyo specifically I’m going to discuss the different types of yoyos that are currently available which will give you a better context to appreciate which specific yoyos you should be considering as well as why we recommend certain yoyos over others. After that I’ll briefly move on to those couple of items you’re going to want to consider getting like replacement yoyo string to keep your yoyos playing as good as the day you got them. In the second part of the video we will be making specific yoyo recommendations for you based on the categories we discussed in the first part of the video. 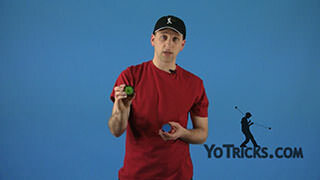 Now if you’re the type of person who is just thinking, “Adam I don’t want to watch this video I just want you to tell me what to get so I can just get started,” okay no problem, if that’s where you are we recommend getting the First 50 Yoyo Tricks Pack. This pack includes our top recommended starter yoyo and a bearing to upgrade it for advanced play, and everything you need for basic yoyo maintenance as well as two of the yoyos we recommend for getting into 2A or two handed style play. This pack is designed specifically to go along with our First 50 Yoyo Tricks List which includes the first 50 tricks we recommend you learn if you want to become an excellent player. Now that that’s out of the way let’s begin. Since this is a buyer’s guide I hope I’m not overreaching to assume that you’re here because you would like to buy a yoyo. 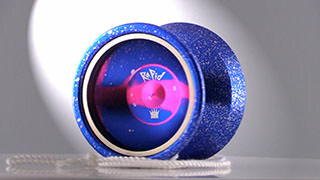 Also you would be correct in assuming that the yoyos we’re going to recommend are available in our store. Now as a store we can pretty much carry any yoyo we want but compared to other yoyo stores we carry a very limited selection of all the yoyo models that are released every year. We only carry the yoyos that we consider the best of the best and the yoyos we discuss in this guide are our top picks from among those. Since this is an annual buyer’s guide one further limitation we do place on ourselves is that we do not recommend any yoyos in this guide that are part of a limited run. That’s because we want yoyos that will be available for a full year, you know, until our next buyer’s guide comes out, so that way hopefully you won’t run into this issue where you see the guide there’s a yoyo you want to buy but it can’t be found anywhere because it’s no longer being made. Of course we do offer some short run products in our store from time to time when we find yoyos that we love enough to carry, so it’s a good idea to check back in the store every now and then just to see what’s new. Now when we are talking about what is the best yoyo obviously we can only give our own opinions, but one thing to consider is that the best yoyo for a player at this level will not be the same as the best yoyo for player at this level. So in seeking to find the right yoyo for you, it’s critical to know a little bit about yourself and a little about yoyo design so you can find the perfect fit. So in this guide we have broken the categories up into three types of players or types of yoyos. We call those beginners, starters, and then advanced, and the advanced category covers everything else that the first two don’t now the first thing you might notice is that beginners and starters sound like they could be the same person. We did that because most players who are new to yoyoing will be fine getting either a beginner or starter yoyo. The difference is that beginner yoyos are designed to be particularly easy to use when learning the most basic tricks, but the tradeoff is that they’re a little bit more limited in terms of learning difficult tricks. So if you’re new to yoyoing or if you’re getting a yoyo for someone else and you feel that you or they are confident enough learning the basic throw catch and wind up techniques, we suggest you jump right to the starter category otherwise a beginner yoyo is recommended for you. Now outside the first two categories all the other yoyos we will mention in this guide are advanced or, in yoyo terms, unresponsive. this means that the yoyos will not come back up when you pull on them and this offers a huge advantage when learning the most advanced tricks. But it also poses a significant hurdle if you have never yoyoed before. 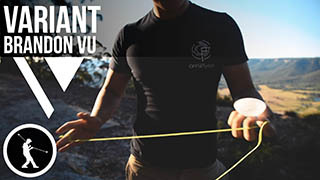 To get these yoyos back you must perform a bind, which involves getting a spinning yoyo onto the string and then performing a specific technique, which we do teach in our videos, to make this transition to advanced play easier. One thing I haven’t mentioned yet about all of our starter yoyos is that they can be upgraded from traditional to advanced play. 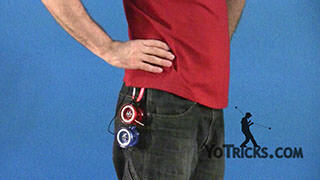 This offers what we feel is the optimal way to ensure that you will have success when first learning to yoyo by making the yoyo easy to use at first because it will come back up when you pull on it, and then when you feel ready you can upgrade the yoyo so that it will play unresponsive and you can learn the most advanced tricks. Now once you start getting into the more advanced yoyos one thing to know is that they all perform relatively similar in terms of overall performance when you’re thinking about things like sleep time, so when we talk about these yoyos we will be emphasizing those things that set them apart from each other and will make them a desirable part of your collection. Now learning how yoyos are unique is important when getting into advanced play because yoyos with different characteristics will be a little better or worse for learning different tricks and skills. So if you want to have a very dynamic style we do recommend you consider getting yoyos that are very distinctive from each other since one yoyo will make one skill a little bit easier to learn, and a different yoyo will make a different skill easier to learn and so on in this way. When it comes to advanced yoyos we do our best in our store to carry yoyos that are all quite distinctive from one another to help you down this path. As well, over the last few years we have been working to perfect and make available at least one yoyo under our own brand for every category we discuss in these guides. 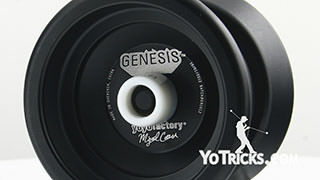 We did this not only to ensure that the yoyos will continue to be available, since we control production, but so that we knew we could recommend yoyos that were precisely the way we feel they should be for helping you progress as you learn tricks, which of course is what yoyotricks.com is all about. In this process there have been yoyos that took years to perfect, some we have updated to continue to improve upon them, and some yoyos we never released at all because they weren’t yoyos that we felt we could recommend as first choice in the categories they represent. All that’s to say that all of our own yoyos that we discuss in these guides, we feel are exemplars of the best that are available within each of their own categories. 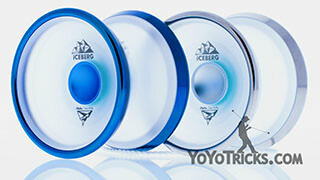 Besides our own models we will be recommending at least one other yoyo in every category. These yoyos will always be quite different from our own and in that way they will be a good complement if you decided that you wanted to get more than one yoyo in any given category. In terms of maintenance, when you get your first yoyo there are some items that will help to keep your yoyo working properly. One thing you might not expect to get is yoyo lube. Since the yoyos were recommending have ball bearings, applying the right kind of lube in the right way will keep everything playing smooth. 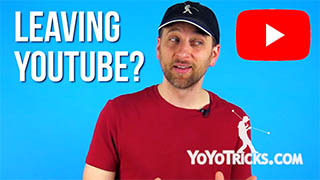 Now we offer both Thick and Thin Yoyo Lube, and we also have videos that explain how and when to apply each kind of Lube to your bearings, with a lot of useful tips like how it’s better to remove your yoyo bearing first before lubricating it, or that over lubing your bearing can actually make it play worse. You really only need a tiny tiny amount of Lube to keep your bearing working properly so it’s just best to check out these videos before lubing the bearings on your yoyo. 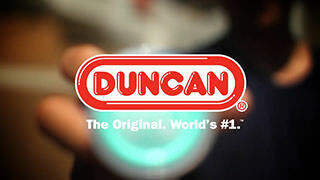 Now because of the specific and unique needs of yoyo bearings, it’s best to avoid lubes like WD-40, Vaseline, sewing machine oil, trumpet oil, mineral oil, baby oil, etc., some of these might actually damage your yoyo, but they will keep your bearings from working properly. So far we have not found any Lube alternatives that are as safe or as effective as the lube we carry and one bottle could easily last a lifetime so it’s a good idea to pick some up. Now as I mentioned earlier yoyos do have string and since strings can wear out, we do recommend that you pick up some of those from our store as well. And finally most of the yoyos in this video also have these little rubber o-rings on the inside called response pads. 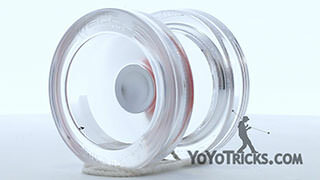 These are what allow the yoyo to come back up when you pull it up or when you perform a bind. These can wear out in as little as four to six weeks if you’re playing with your yoyo quite a bit, so you may also want to consider getting a replacement set of those as well. To make things easier, on every product page on our site, we do have our recommendation section so you know what kind of Lube, response pads, and strings you need for each yoyo. In addition every yoyo is available in a pack that includes the right kind of Lube and strings, and you can also add on the right kind of response paths to any of the packs as well. little sister or a friend when you’re done with it which we think is great. So in that case we would recommend eventually lubing the bearing with thin yoyo Lube, but we would say in the normal courses everyday use you probably won’t need to do that. Now the one thing that you will need to think about with this yoyo and maintenance is that just like any yoyo you will need to replace the string when it wears out. So actually let me show you something about that real quick when I put the yoyo back together, a lot of times with your first yoyo you think it’s going to be easier to put the string onto the yoyo when it’s taken apart, but the string can actually fall in between the bearing and the yoyo if you do that, and that can cut the string. So we do always recommend that you put the yoyo together first and then put the string on. We have a whole video that shows you how to do that if you’re just getting into yoyoing. That’ll make sure that your string doesn’t break prematurely. So let’s talk about how this yoyo plays. As we mentioned the yoyo plays really easy and really responsive and so it’s a good first yoyo because it comes back up right away when you pull on it even if it’s not spinning super fast. It does sleep long enough for you to start learning all of your basic tricks, and as we talked about because those teeth get pushed into the yoyo it plays really great on the string too, so you can learn all of your basic string tricks. 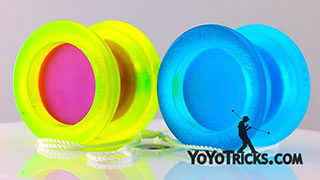 Now one further thing that we just love about the shape of this yoyo is if you look at it you can see it kind of flares out which is good for landing the yoyo on the string but it’s not as wide as a lot of yoyos that are designed just for 1A style tricks, so it’s more narrow kind of like 2A yoyo. What’s cool about that is you can actually start to learn all of your looping tricks on this yoyo as well. So if you’re thinking about going through the first 50 yoyo tricks list this is one of the few yoyos on the market that can get you into your basic 1a and your basic 2a tricks which is awesome for a beginner yoyo. Now again it not going to play as good for to a as the yoyo that’s dedicated for to 2A style yoyoing it’s not going to play as good for 1A as the yoyo that’s dedicated for that style, but for a beginner yoyo that’s easy to use it is really well rounded and can get you pretty far into that trick list before you’re going to want to upgrade. So we would recommend that you consider getting the Fizz yoyo pack because it does come with the extra strings that you’re going to need. 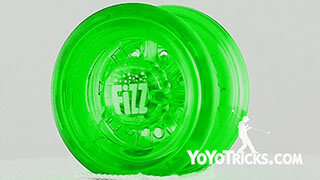 If you want to know more about the Fizz yoyo we do have a full review in unboxing video that you can check out. really, but if you’ve got younger brothers or sisters in the family and they’re looking at their older brothers and sisters just learning all these tricks and they think it’s so fun this one will give them a chance to try it out and learn some of those basic tricks for themselves without feeling like they’re being excluded. But if you want to get into more and more advanced tricks you can always get the pack and upgrade the yoyo for unresponsive play, and learn all those more advanced tricks with it as well. So in a lot of different ways this has a really unique design but it offers a lot of the best features that come in a beginner yoyo if those are things that you’re looking for. The second category of yoyos that we want to talk about our Starter Yoyos and again these are yoyos for new players that can also be upgraded to play advanced or unresponsive. 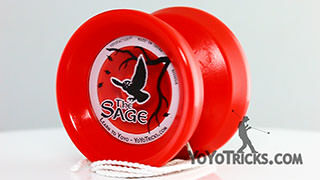 In this category the yoyo that we always like to recommend first is the Sage Yoyo. There’s a lot of reasons why we feel like this is a good first option for most players. 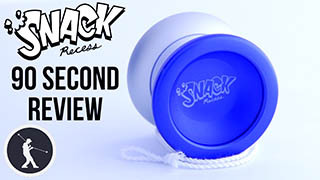 The first thing is the shape, you can see if you were to compare it to our beginner yoyos it’s extra wide and that makes it a lot easier to get the yoyo to land onto the string, which is the type of tricks you’re going to want to be learning with this particular yoyo, 1A style tricks. But this shape actually is the same the profile shape as the same as the yoyo that was used to win the world yoyo contest, so it’s really an advanced shape that we’ve adapted into a starter yoyo. So the cool thing about this shape is you can see at any point if the string where to hit any part of this yoyo right in here it’s going to force the string into the gap of the yoyo. 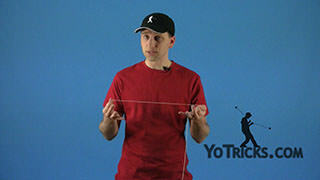 That makes it a lot easier to learn your basic string tricks because it’s a lot easier to land the yoyo on the string. Now if you also look at the profile what you’ll see is that the profile dips all the way down into the center of the yoyo and almost goes down as far as the bearing what that does for you is when the yoyo is on the string you can actually move the string off to the side a little bit before the yoyo starts to tilt and lean on you, which can happen if you go a little bit too far. Again that just makes all of these tricks a little bit easier to learn and even though the yoyo is responsive you can get these tricks to work really well on a first yoyo like the Sage. Now the other thing that keeps us coming back to this particular model is that it’s super super durable which is what you really want if it’s your first yoyo because you might be hitting the yoyo on the ground a lot, you know there’s a lot of different ways that yoyos can get damaged when you’re a new player and this yoyo can really take it. Now the only problem that we’ve really seen players have, and this is pretty rare, is if you tighten the yoyo too much, and I mean way way too far, then the axle on the inside can actually snap. Now the nice thing about the sage is that the axle that’s on the inside of the yoyo is a standard size and it’s replaceable, so if that happens to you then what we would recommend is you can just go down to any hardware store show them the axle that’s in the yoyo and they can give you another one. All you need to do to get these out is you can just push the axle right through the halves of the yoyo it’ll pop the caps off you can put in a new axle and you’re going to be good to go. Now with any yoyo, over tightening it even a little bit can actually damage the yoyo so it’s a good idea to get used to just tightening up the yoyo until it’s snug and then you’re going to be ready to go. Now the other thing that we absolutely love about the Sage is that it is upgradable and it’s really simple. With the Sage compared to some yoyos you don’t have to change out the response pads or do anything. All you’re going to do is swap out the bearing and that’s going to allow the yoyo to play unresponsive, which is cool because you can go between responsive and unresponsive play with this yoyo and the bearing is really easy to swap out. Once you’ve done that you’re ready for more advanced tricks. So once you have your Sage set up for unresponsive play, you can of course do tricks that involve a little bit more slack which means you can do some more advanced tricks. That also allows you to do tricks with a lot more strings loaded into the gap of the yoyo and it just allows you to push your skills quite a bit further. In terms of sleep time on the Sage, the way it comes playing responsive it’ll sleep probably 40 seconds to about a minute with a straight and powerful throw but once you’ve upgraded the bearing for unresponsive play, it’ll sleep three to four times that length, which of course just opens up a whole new set of tricks for you to learn. Now when we’re talking about the Sage we have two different packs that we recommend. 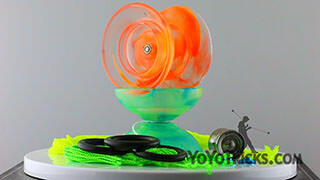 We have the Sage Yoyo Starter Pack which emphasizes more of the beginner side of this yoyo. 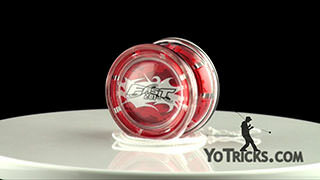 So it comes with Thick Yoyo Lube to take the yoyo playing as responsive as you’d like. It also comes a finger wrap which will help keep your finger from hurting if you’re a new player. 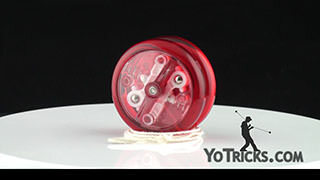 Then we also have the Sage Yoyo Pro Pack which emphasizes the more advanced side of this yoyo. It comes with the upgraded bearing as well as Thin Yoyo Lube to keep that bearing working properly. If you want to get the best of both worlds we’d probably recommend you get the sage yoyo Pro Pack and then also get a bottle of thick yoyo Lube. That way you can use the thick Lube on the bearing that comes in the yoyo, and you can use the thin Lube on the upgraded bearing. That way you can kind of switch back and forth and get as much as possible out of the yoyo. If you’re interested in learning more about the Sage we do have a review of the Sage that you can check out, we get into the history of where the sage came from a little bit and go into a lot more detail about the design than we do here so you will definitely want to check that up. what’s cool about it is you do not have to take the yoyo apart to get it to play unresponsive. It actually has these little dials right here and you can just adjust the dials to set how responsive or unresponsive you want it to be, so the way that it comes it plays nice and responsive you can get it on the string and do some basic string tricks, and then when you’re ready to move up to unresponsive play all you do is you turn these dials in the center of the yoyo out and you do that on either side. What that does is it holds the response pads out which in effect makes the gap of the yoyo wider and when you do that that allows the yoyo to play unresponsive. So now you can get into all the different unresponsive tricks that you could do and that just opens up a whole new world of play. The one thing that to note about this yoyo compared to something like the Sage is it does have a smaller, almost an old-school, rounded shape and the bearing in it is quite a bit smaller as well. That means that it’s not going to sleep quite as long as other starter yoyos that we carry and it’s not going to be quite as advanced when you get into the more advanced tricks, but you really can’t beat how convenient it is to be able to switch between responsive and unresponsive play. So for a lot of players this is the starter yoyo that they absolutely love and so if you’re interested in learning more about this yoyo we also have a review that again goes into more detail so you can always check that out. The next category that we’re going to talk about our Budget Metal yoyos which are yoyos that are metal and retail for under $60. 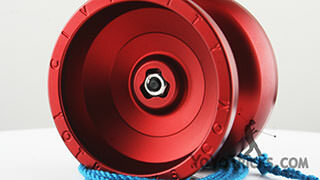 All the rest of the yoyos that we’re going to talk about in this guide are advanced or unresponsive. Now when we were thinking about this category and trying to decide what to recommend, we noticed, I guess you could kind of say it’s a problem but it’s the best kind of problem – If you look at our previous buyer’s guides there were two yoyos in particular that we recommended more than once, that is the Shutter yoyo and the Horizon. The thing about these yoyos is that they are still really relevant and they still get players really excited. In fact teams have grown up around these yoyos and those teams are still really active and are really competitive in the yoyo competition scene. They’re still developing all kinds of new and exciting tricks, and Gentry Stein with the shutter is still continuing to win contests, and Paul Kerbel is still pushing trick innovation just through the roof with the Horizon. 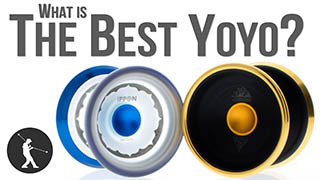 So we found that we still kind of wanted to recommend these yoyos, because even though a lot of other companies have tried to emulate these they don’t seem to have captured what’s so special about these yoyos. But then we also wanted to be able to bring some new yoyos to your attention in this category so what we decided to do was to create a new section on our website for these two yoyos in particular and so we just call them Legendary Yoyos. If you go to this page you’ll see the Shutter you’ll see the Horizon and then also in the high-end metal category we also have the Atlas which we’ll talk about that in a little bit. 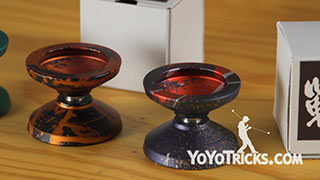 For all three of these yoyos we have filmed tutorials with the players whose name is on the yoyo. So you can get a really good feel of what these yoyos are capable of and they’ve really just established themselves in the yoyo community as yoyos that are just going to get you where you want to go. So we definitely recommend you check that page out. Besides those when we’re thinking about our absolute favorite budget metal yoyos the first one that we do want to bring to your attention is the Canon yoyo. Now when we released the Canon, our hope was that players would use the Canon not only to push their skills to the next level, but also to experiment with 3A and 5A style yoyoing, which is why we did include the ultra weight counterweight with the Canon. Over the course of the last year we’ve been really pleased to be able to do tutorials with the Canon in 3A and in 5A, Ann Connolly got her own addition of the Canon and she came and did some a tutorials, and we’ve even been using the Canon to do our bind series of tutorials. That’s the thing about the Canon is that it really does excel at a wide range of styles and it’s particularly nice to get used to a yoyo in one style, in 1A for example, and then to use that same yoyo to transition into something else because you’re already familiar with how it moves in the way that it plays. The Canon is really a nice all around yoyo, it’s got a nice V shape to it which gives it a little bit more speed than yoyos of different shapes, but it also has this little bit of extra rim weight so it’s got enough power for you to power through your tricks, especially when you’re learning and the more difficult styles. So in all of those different ways we feel like you know when you’re getting your first budget metal yoyo, this is you almost saying to yourself yeah I’m committed to this I want to get into this I want to take it to the next level, and our hope with the Canon was that it would just throw open all the doors not just to 1A, but to all the different styles as well. 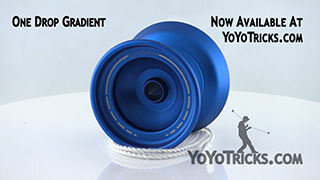 So we’re really excited about this yoyo, and so far people have really loved it and have used it to take that next step. The next yoyo that we’re really excited to tell you about is the iYoyo Hidra and one of the reasons we’re so excited about this yoyo is because with most yoyos, they are most popular when they’re brand new and there’s all this hype around them and people get excited about it, and then the popularity goes down over time. But there are select few yoyos that popularity actually increases over time and what that says to us is that when people get this yoyo they really love it, and we think there’s a lot of great reasons why people love this yoyo. The first and most obvious is that the colors that they have on the Hidra are always really really well done and if you look at the different colors that the Hidra comes in they’re always coming out with new ones and they’re all really exciting and really complex and for a yoyo at this price point, it’s just something that you don’t see very often. The other thing that we think makes this yoyo really exciting is that the shape that it comes in, which is more of an H shape, it’s actually not as popular today as it used to be. We think that not only does that make this area stand out a little bit but we feel like iYoyo found a good way to deal with some of the problems that this shape has. The main problem is that when you hold an h-shaped yoyo, it’s not always really comfortable. They’re usually really angular and kind of awkward. What they did with this is they made the rims on the yoyo especially wide, and they really curved them down with a gentle slope. What that does is it makes it actually really comfortable to hold and to play with but it retains all the benefits that you get out of an h-shaped design. So the biggest benefit is you can see is that really quickly all the weight on the yoyo is pushed out, and then the rims are really thick. So just as much weight as possible has moved away from the center of the yoyo. It’s even dug out in the center here and it’s just sitting right here on the rim. That gives it really powerful spins which means that if you’re having problems in the middle of your tricks it’s going to continue to spin really strong. 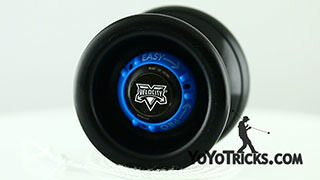 It’ll also give it really long spin times and being an h-shaped yoyo it’s particularly good for certain types of grinds. That extra bit of power just extends the life of your grinds for a long time so you can pull them off with style. When we get into high-end metal yoyos we feel like this year the category kind of matured into what we were always hoping it would be and we’re kind of looking forward to see what else is going to happen in this category this year but what you’re really going to find in high-end metal yoyos is, we’ve discussed before, it’s not that you’re going to see a huge bump in performance. What you’re going to get out of these yoyos is something that just couldn’t happen in the budget metal price point. So for example the Atlas yoyo that we carry, it’s quite a bit wider than other yoyos in our market and that gives it a lot of advantages that you can’t get otherwise. As you may know Jake Elliott used the Atlas to win the World Yoyo Contest in the 5A division, but we’ve also been using it to teach our horizontal yoyo tutorials because that extra wide shape makes it really good for horizontal style play. We even made a whole video about how to choose a yoyo for horizontal style play and talked about all the ins and outs of what makes a yoyo good for that style. So if you’re interested in that you should check that out. We also have a whole review about the Atlas where we go into more detail about why it plays the way it plays and also some of the history behind it. So if you want to learn more about the Atlas you can always check that out as well. We also use the Atlas to teach our finger spin tutorial video, and again the width kind of helps it excel at that trick as well. So we feel like this is kind of emblematic of what you’re going to find in the high-end metal series, just things that are difficult to find outside of that category. Another thing that’s really interesting and kind of exciting that’s going on in the high-end metal line of yoyos is a lot of companies are now experimenting with 7068 aluminum. This is the strongest aluminum that we’re aware of that yoyos have ever been made out of, and what that does is it allows you to make yoyos a little bit lighter but still have the same amount of rim weight because you can make the walls of the yoyo thinner. 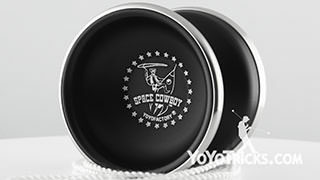 So recently yoyofactory has been creating a line of yoyos that they call their Ultra line. 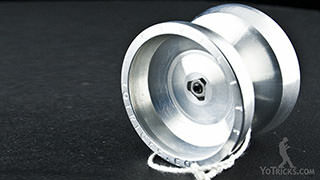 These are yoyos that are made from this particular type of aluminum. They’re even redoing some of their more popular models in the budget metal category. They’re redoing them in the ultra line and they’re pretty exciting you know, to take a yoyo you already love and to change it just a little bit so that plays faster might even be a little bit more powerful. So far the yoyos what they’ve done in this way have really been surprisingly good so if you’re a fan of one of those yoyos that they are redoing we highly recommend that you check out the ultra version. Now another yoyo in this category that we always talk about is our own Civility yoyo and we use this yoyo to teach a lot of our more advanced tricks but lately we’ve been using the civility to teach our combo building trick series. This is a part of our competition training area on our website that we’re currently building up. We did a brain twister combo series, we’re doing a front style speed combo series currently, and we’re going to be adding to that as well. The whole point of these series is just to teach you how to make up your own tricks and this ability is really good for that because it’s got a really powerful spin, so you can kind of sit and meditate on your tricks a little bit while you work through them. It’s really good for learning tricks for the same reason. It also has a stainless steel nut so that you can take it apart and put it back together a lot more times you can on other yoyos without affecting how it plays. So again it’s just something that you don’t find in other yoyos. Now of among all the different yoyos, there’s one that is even the most distinctive out of all of these that we’re really excited to talk about and that is the Nine Dragons yoyo. This yoyo has been on the market for a little while now but we feel like YoyoFactory has continued to improve this model and now it’s ready for us to be really excited about it. Now what the Nine Dragons is is it’s almost like the opposite of hub stacks, instead of being able to grab the side of the yoyo what you can do with the nine Dragons is you can grab the outer shell. You can pull start it and hold on to that while the yoyo spinning, and that just gives you all kinds of different possibilities. There’s tricks that you can do with the Nine Dragons that would just be inconceivable with other yoyos. But it’s also really good for practicing, if you’re having trouble with different types of whips you can actually hold on to the yoyo while it’s spinning and practice those whip elements and then because it’s still spinning you can drop the yoyo and continue on with the trick as if you’d landed it properly. A lot of players have kind of cheated with the Nine Dragons to land their first finger spin and it actually is really helpful to get the feel of how that works you can even hold the Nine Dragons from the bottom and work on the bind for your finger spins which might actually be the hardest part of that particular trick. So in a lot of different ways it’s a good yoyo for training tricks, but also something that if you really give your creativity over to it, you can come up with some pretty interesting and innovative tricks that you can do with it. Now one thing if you’ve ever used one of these you’ll know this the Nine Dragons can be pretty loud and so if you’re in a situation where volume is a consideration you might want to avoid the Nine Dragons. But if not it’s definitely going to be a unique part of your collection and something that we think that you’ll really have a lot of fun experimenting with. So the last category that we want to talk about are the bi-metal yoyos and in this category we’re really excited because we have a brand new yoyo to release what’s called the Ethos. When we set out to make our own bi-metal yoyo the main thing that we wanted to do was to make the best use of the advantages of bi-metal design. What we found with a lot of bi-metal yoyos is that even though they look really really good, they don’t always play all that different than just regular aluminum yoyos, because they’re not putting enough weight into the stainless steel rings for you to really feel the difference. So with this yoyo what we did is we started with a pretty normal size I guess with the yoyo and we shrunk the diameter down just a little bit. You can imagine by shrinking the diameter it shrinks the whole yoyo down. So what we did is we took all the weight that we save from that and we put that into the rings of the yoyo. You can really feel the difference on this yoyo when you throw it, you get that experience of power that you’re looking for out of a bi-metal yoyo. It’s smaller it’s still really quick and nimble and so we we really liked how that turned out with this particular model. Now the other thing that you’ll notice about this yoyo is that the rims are really really wide and that was more of an aesthetic choice for us. We wanted the Ethos to really stand out, and what you’ll find is that as you’re just out and about doing tricks and particularly when you’re doing horizontal, the contrast that you get between the rings in this yoyo and the rest of the body is really striking. It seems to just draw people’s attention and it just makes your tricks look a little bit better. Now the other thing that you’re going to notice about this is that we didn’t put the Rings all the way on the outer edge of the yoyo a lot of bi-metal yoyos. You’ll see the rings are all the way on this outer edge right here or on the inside right here and the problem with that is that that can interfere with some grind tricks and so we wanted to make sure that even though these rims were really big they weren’t going to interfere with those tricks. So whether you’re doing Finger grinds or Talon grinds, or Palm grinds or even Finger spins, at no point do these rings interfere with your tricks. Now one thing that you can’t see about these rings that’s really cool is that they’re quite a bit thicker on the outer edge of the yoyo than they are on the inner side of the profile. Again, that was just a choice to push as much weight as possible to the outer edge so that you get that that feeling of bimetal that you’re looking for. Now thinking about the finger spin area, we used as our starting point actually the cup design of the Atlas. That’s the yoyo that we use when we taught finger swings in our tutorial and we’ve always really liked that design and it plays really well with this yoyo. Right at the center of the yoyo is a finger spin dimple. If you can get your finger into that dimple it’ll allow the yoyo to spin for a really really long time. But almost more important than that is this outer ring right here and what that’s for is when you’re doing more complicated finger spin tricks, especially with multiple hops and catches and things like that, you don’t really want to concern yourself with always catching it right in the middle. So this ring right here keeps your finger close to the center, you know, won’t allow your finger to be pushed out all the way to the edge of the yoyo which is going to kill the spin. If you ever do just want to settle the yoyo your finger will naturally be drawn into the very center of the yoyo so you can get those really long spins. So we feel like we found a really good balance between design that allows you to do really dynamic tricks, but can also have really long spin times. So when you put this whole yoyo together what you’ll find is that it’s really really good for the competitive yoyo player. That power gives you all the advantages of long spin times so that you can make your tricks longer. Because it’s small and nimble it’s going to be really good for your tech tricks and for your speed combos, and because it’s got that striking design it’s going to draw everybody’s eyes to you while you’re on stage. That’s just what we really wanted we wanted a yoyo that was going to stand out and really help you achieve what you’re looking to do with your yoyo performances, and that’s what the ethos is all about. The last yoyo that we want to talk about is The Edge, and we actually featured this in last year’s buyer’s guide, but at the time it was just a prototype, and we couldn’t be happier with how the final version turned out. Kind of surprising to us it, actually had a slow start but over the course of the last year it has really picked up momentum. 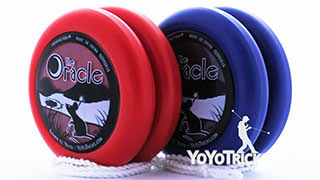 In fact in the 1A division finals at EYYC, the European yoyo contest, it was used by almost half of the competitors. If you’ve ever seen Evan Nagao, whose yoyo The Edge is, compete I think you’ll know why this has started to pick up steam – he just brings like an excitement and enthusiasm and charisma to his performances and his tricks that are rarely matched in the yoyo world. When you play with The Edge you just kind of get that feeling you just want to try yoyoing that way. You know it’s got a little bit of extra width compared to most yoyos, you know it’s not super wide like the Atlas but it is wider than the vast majority of yoyos on the market today, so that it encourages you to just be a little bit more risky a little bit bigger with your tricks. And it is a bimetal so it’s got that power so you can take on longer combos and more challenging tricks, and still achieve your goal with this yoyo. We did bring Evan out to film tutorials with us, and of all the player tutorials that we filmed, his tricks are probably the most challenging, which is definitely a credit to him but also to The Edge yoyo. So if you’re interested in Evan or if you want to try some of his tricks, or if you really just have kind of a big style that’s really out there, The Edge is an excellent choice for you. So that’s it for the fourth annual yoyo buyer’s guide. We hope that this was helpful, if not brief, and we’re really excited for the yoyos that are going to be coming out this year, so we can’t wait until we see you next time.